New Directions Publishing Corporation, 9780811223379, 128pp. 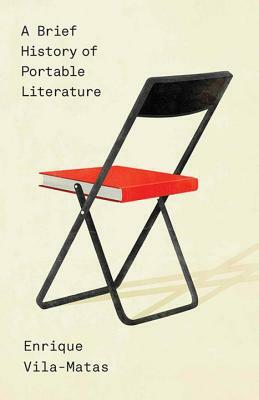 An author (a version of Vila-Matas himself) presents a short "history" of a secret society, the Shandies, who are obsessed with the concept of "portable literature." The society is entirely imagined, but in this rollicking, intellectually playful book, its members include writers and artists like Marcel Duchamp, Aleister Crowley, Witold Gombrowicz, Federico Garc a Lorca, Man Ray, and Georgia O'Keefe. The Shandies meet secretly in apartments, hotels, and cafes all over Europe to discuss what great literature really is: brief, not too serious, penetrating the depths of the mysterious. We witness the Shandies having adventures in stationary submarines, underground caverns, African backwaters, and the cultural capitals of Europe.